Born in 1990 in Novska where he finished his high-school studies in piano and music theory. He got his MA diploma in Conducting at the Academy of Music Zagreb in 2014 in the class of Uroš Lajovic. During his studies, he was included in several inter-academic opera productions, whether as a répétiteur, or as an assistant conductor. For the asistance in the 2011 production of Bizet’s “Carmen” he got his Dean’s Diploma. In year 2013 he conducted a performance of Stravinsky’s “The Nightingale” in Lisinski concert hall. As a part of his gratuation in 2014, he did his debut with Zagreb Philharmonic Orchestra and performed with the ensemble of the Academy of Music and the Academy of Dramatic Art with Stravinsky’s “A Soldier’s Tale” at Franz Liszt Academy of Music in Budapest. He conducted the same work once more in 2015 with Chamber studio of Zagreb Philharmonic Orchestra. He also had his professional symphonic debut with Croatian Radiotelevision Symphony Orchestra in April 2016. He initiated many concerts and projects, including “DuLuM – KULTurni tulum” in year 2010 for which he got his Chancellor’s award of the University of Zagreb. He was conductor of many choirs, notably Cappella Coda 2011-2013 and Capella juris (Choir of Faculty of Law Zagreb) 2015-2016. From February 2016 he has been working at the Academy of Music Zagreb as an assistant professor on the Conducting department. From January 2014 he had been working as a répétituer at Croatian national theater in Zagreb, where he’s been working as an Acting Studienleiter from October 2015. 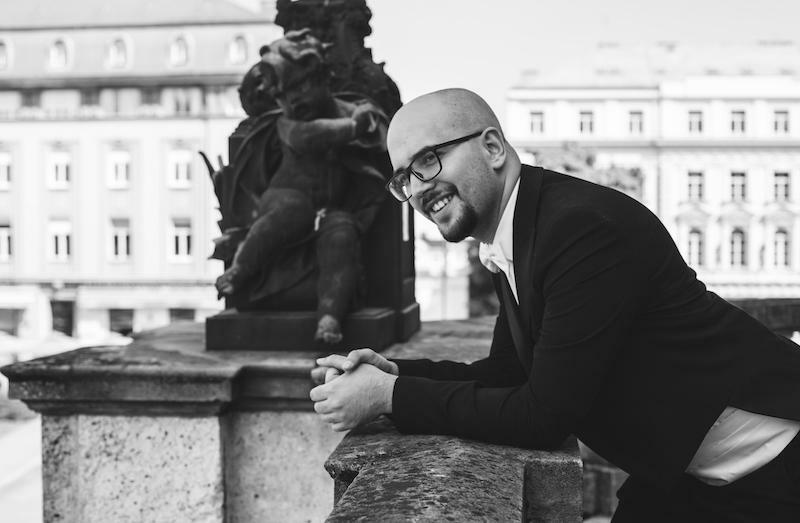 As an assistant conductor, he worked with Nikša Bareza (on operas “Madama Butterfly”, “Les vêpres siciliennes” and “Manon Lescaut” and on stage work “Gurre-Lieder”), Josip Šego (“Don Pasquale”), Elio Boncompagni (“Don Carlo”) and Ivan Josip Skender (“Mimi” – making his professional opera debut in March 2016). After “Mimi”, he had conducted a performance of croatian opera “Equinox” (Ivan Brkanović). During current season, it’s planned to conduct two of operas he had assisted in. As an assistant and répétiteur he worked for Music biennale Zagreb 2015 in two contemporary opera productions. He also works as arranger, most notably with Croatian Radiotelevision Symphony Orchestra, Zagreb Philharmonic and ensemble Col legno FM. He’s also leading two ensembles; Col legno (performing contemporary pieces, having their biggest concerts on Samobor Festival in 2013 and “À la française” in February 2014, and guest-performances within Zagreb Book Festival in 2015 and 2017) and vocal ensemble Project Lazarus (performing baroque vocal repertoire, especially croatian, with big concerts in St. Peter’s Church in Vienna). © 2017 ZAVOD JAZBI, All Rights Reserved.